Jeremy was born and grew up in Kenya. He studied Psychology and Zoology at Bristol University and studied percussion with Diggory Seacome, Jayne Obradovic, Graham Johns and Michael Skinner. 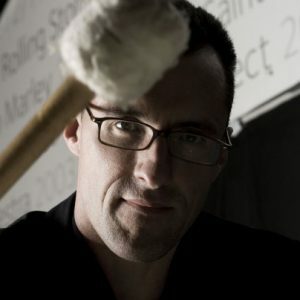 He now teaches percussion at Millfield School and plays with the Bristol Ensemble and many others including Welsh National Opera, The London Gala Orchestra, English National Ballet, Bath Philharmonia and the Brunel Ensemble. Jeremy has coached many youth orchestras and has recently enjoyed a course with the National Children’s Orchestra. He regularly records for film and television including a solo role on “Dog Soldiers”, a werewolf horror!